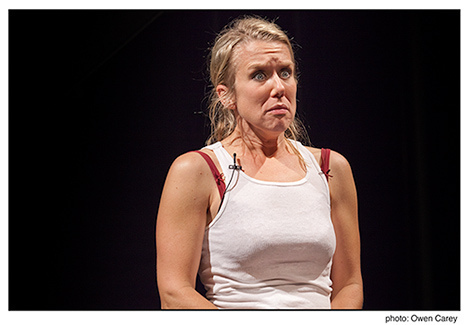 Lauren Weedman in her hilarious one-woman tour de force, Bust. Directed by Allison Narver and playing April 23 – June 19, 2011 in the Ellyn Bye Studio at Portland Center Stage. Tickets and info at 503-445-3700 or pcs.org. Photo by Owen Carey.